Our product range includes a wide range of machine vibration analysis service, thermography services, ultrasonic flow measurement services, environmental noise assessment, noise and vibration impact assessment on buildings and vibration and sound instrument repairing services. 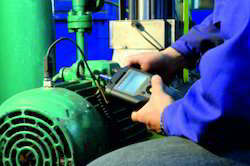 Vibration Analysis Service is the primary diagnostic tool for most mechanical systems. Machinery Vibration Diagnosis and Analysis involves a systematic study right from the present condition of vibrations of the machine, diagnosis of the problem areas and suggestive rectifications / repairs. This maintains optimum operating conditions and efficiency of critical plant systems. We at iAdept perform a detailed stock taking and sequencing process before the start of the condition-monitoring program using the latest instruments / tools from the most trusted brands of industry. The plan for data collection, follows thereafter. Vibration Measuring parameters are decided (velocity, acceleration and displacement). Vibration measurements are recorded and provided to the user. The exact cause of vibration is identified and corrective action is suggested for exceptional points. If Machine Imbalance is concluded to be the cause of increased Vibration levels, On-site Dynamic Balancing of rotor is performed without dismantling the rotor from the assembly. Another application for vibration analysis is also used as an acceptance test to verify that a machine repair was done properly. The analysis can verify whether proper maintenance was carried out on bearing or gear installation, or whether alignment or balancing was done to the required tolerances. We have specialized equipment to measure temperature and/or to record thermal images of the electrical as well as other equipment by Thermography Service. These instruments provide indicative information on hot spots or hot areas or real images of the targets under analysis. The data can then be recorded and converted into guidance reports on PC. It is very effective technique and is completely safe process of defect analysis. Inspection of electrical panels, Overhead cables motors, pumps, bearings etc. in predictive maintenance domain, Human and Animal medical diagnosis, Thermal Data collection in Agriculture or other R&D applications. Termites are huge problem because they eat wood and damage houses and buildings. Detection is difficult and traditional Methods rely on knocking on wood. Thermal imaging is being used to successfully locate termites in buildings in a non-destructive manner. Flow meters offer various process input, output and serial communication options which enable them to be embedded into process control systems. 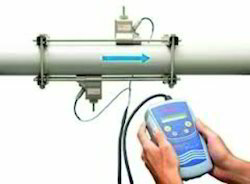 Due to their flexibility, flow meters, that we use for providing Ultrasonic flow measurement services, can also be installed in non-standard surroundings. IAdept has excelled in providing a complete range of services related to environmental noise coupled with unique engineering expertise in noise control. Having completed prestigious projects viz. 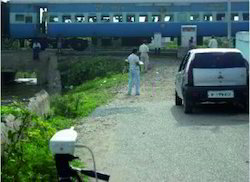 EIA study for the laying of New Corridor for Indian Railways, our reputation is based on providing clients with thorough, accurate and reliable assessments and predictions, coupled with innovative and very low cost noise control methods. 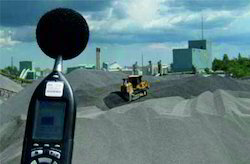 We offer Noise and Vibration Impact Assessment on Buildings. We also have a business arranged with AV Engineers of Spain for railway related products in this domain. The major sources for noise and vibration pollution are machines, aircraft ground, transportation and power generator etc. We undertake noise and vibration related measurements, analysis, prediction and recommend mitigation measures if required. All Buildings, suffer from vibration due to various causes like vehicular traffic, Construction activity in the vicinity, Running of heavy machines in adjacent buildings, demolition or blasting work in surrounding areas or Supersonic airplane flights. The vibration can be a cause of discomfort to the occupants or damage to buildings. We undertake measurement of Noise and Vibrations on buildings from the perspective of their impact on inmates as well on the building structure. We undertake them as per the local Government regulations and standards. The basic process regarding vibration measurements involves assessment of the vibration amplitude and frequency. This is required to determine the effect the vibration has on the building and its' occupants and whether damage could be caused to the structure. Measurements of vibrations can have two aims, determining comfort or risk of damage to the building or realated installations. We measure vibrations both in domestic houses and in business buildings. Most Governments have laid down standards for vibration measurements and assessment of its impacts. A buildings' structural response is usually affected by duration, amplitude and frequency of vibration. We take into consideration all these and related aspects while carrying out the assignments of this nature. We also employ modelling software for analysing the noise or vibration environment and to predict the impacts on the objects surrounding the measurement location. The period of monitoring varies as per the vibration level, duration and impacted subjects. iAdept has pioneered in the field of Repair, and Rectification of Vibration Measuring Analyzing and Data Collection Instrument of any make and origin. We offer these services at competitive charges. Through this unique service, we have created a niche in this business arena and have satisfied a large number of reputed clients all over the country. Our company is backed by highly qualified and experienced engineers technicians having industrial acumen, which enables us to meet expectations of clients. 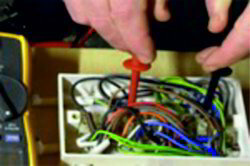 We do repairs and rectifications for conditions monitoring products which includes. Replacement of old / damaged parts with a new one. These instruments could be of any make / model or origin. We also provide all accessories for condition monitoring products e.g. 2. Memory card and card reader. 5. Connectors like LEMO, Fisher, TNC, BNC, MIL (2, 3, 4 pin), micro dot. On Site and City Based Training on Machine Vibration, Thermography Condition Monitoring. Three-day training Programme on Basics of vibration, vibration analysis and single plane balancing. A hands-on three-day course beginners and start-up companies in the field of Vibration analysis. Includes Vibration signature analysis and related condition monitoring techniques. Three-day Programme on Advance Vibration Analysis. Includes some intricate analysis techniques like diagnosis of motors using MCSA, time waveform, Modal and Operating Deflection Shape analysis, sleeve bearing analysis, orbit and shaft centerline, transient analysis, order tracking, Torsional vibrations etc. Participants are expected to have sufficient basic knowledge equivalent to Three day basics programme described above. Integrated Programme for 5 days covering both options 2 and 3. Completely Computer Based training Following Category 2/3 of ISO 18436-2:2003 Syllabus and concluded with an exam inclusive of supply of one CD with one license for future revisions. This is an interactive package and is taught through direct interactions on the computer of each participant. They can see visually all vibration patterns and physical behaviour of the machines under each type of conditions. They can also create these defects as per their own perception on the models seen on the computer. Maximum No of Participants in this programme will be six. Programme with dynamic balancing, alignment, lubrication and resonance concepts. Exposure to acoustic emission, thermography, Wear Debris analysis, wear particle sizing, motor testing etc. Diagnosis of unbalance, misalignment, bent shaft, looseness, gearbox faults, resonance, and other conditions. Level I thermography training course completion provides Level I Thermographer Certification and it meets SNT-TC-1A recommendations for Thermal/Infrared by the American Society for Non-Destructive Testing (ASNT). 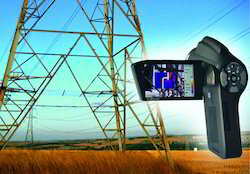 Use of thermal imaging for predictive maintenance applications. Collecting temperature readings, correct for distances and emissivity. Heat transfer concepts in regards to thermal images, inspection report and software. Hot spots and reflections, qualitative vs. quantitative thermography. Measurement of baseline data of railway noise / vibration around features and sensitive receptors in terms of LAE, LAeq etc. Estimation of the additional noise / vibration with respect to various scenarios. Interview surveys and other support activities related to above scope. 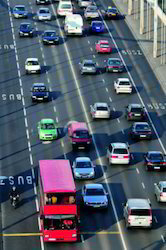 Road traffic noise / vibration may be included in the scope of the study, such as traffic of vehicles coming to/ from ICD/FLP. Estimation of noise / vibration levels caused by construction equipment and vehicles during construction. Prediction: Noise / vibration levels (LAeq) due to additional or new train traffic on features and sensitive receptors. 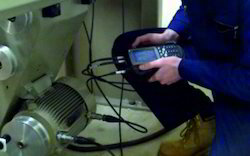 We undertake calibration of vibration, sound instruments and related accessories like sensors, strobes and tachos. These instruments and accessories could be of any make or origin. Our calibrations are traceable to National Standards and valid as per the user's policies. In most cases the instrument calibration is run using software programme and test reports and calibration certificates are generated by software. Vibration transducers e.g. accelerometers, velocity transducers and proximity probes of any origin and make / model. Vibration meters and FFT analyzers data collectors of SKF, ENTEK, MIL, Rockwell or Allen Bradley, B K, Schenck, Benstone, IMV, SPM, Etc. Sound level meters, sound analyzers, and sound intensity equipment of any make or origin such as Lutron, Matrevi, Castle, Swantek, IMV, ACO, etc. Sound calibrators of most origins and makes can be calibrated by us and list is ever expanding. Stroboscopes and Tachometers working on pulse monitoring system are calibrated by us. These could be from Monarch Instruments, Lutron, others of any origin and make.